The Christian cross is a symbol of freedom, sacrifice and love. Bring those important elements to your everyday jewelry collection with this white gold cross pendant from Apples of Gold. Expertly crafted and masterfully designed, this simple gold cross is a tribute to Christ's love for us. The pendant is forged of 14K white gold for a contemporary look. Each arm of the cross is tapered to be smaller in the center and wider at the ends, giving just a hint of style to this plain white gold cross. 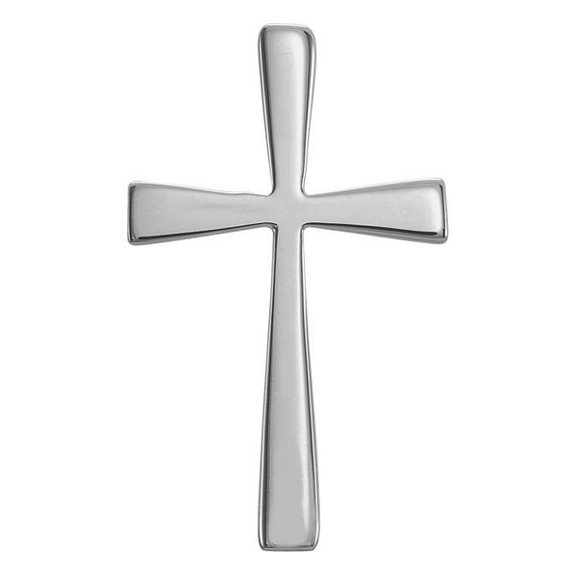 We guarantee our Crux Immissa Cross Pendant 14K White Gold to be high quality, authentic jewelry, as described above.